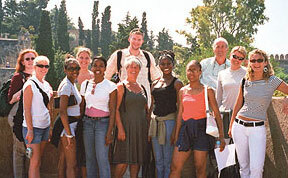 Welcome to Spanish Study Holidays and to the world of Spanish language travel. 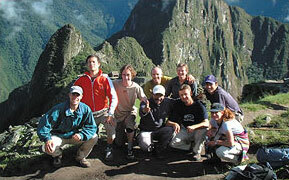 We specialise in Spanish courses in Spain and Latin America. Our schools provide high-quality courses of 1-week to 40 weeks for students of all ages and levels. Whatever your needs or interests, we are confident that we will have a Spanish course to suit you. You can learn Spanish in Spain or Latin America. The most economic option, because it is only a few hours a week. Only available in a few locations. The best choice for most students. 20 lessons per week is the right number of lessons to help you to make lots of progress with your Spanish, whilst also leaving you plenty of free time. A good choice if you want to learn as much Spanish as possible, in a short period of time. These courses are offered at all levels. You can normally choose to do the course for just 1 week, or for as many weeks as you like. Naturally, the longer you can attend a course, the more Spanish you will learn. The most popular durations are 2 to 4 weeks. All the tutors at our schools are native Spanish speakers, with a university degree and special training in the teaching of Spanish as a foreign language. 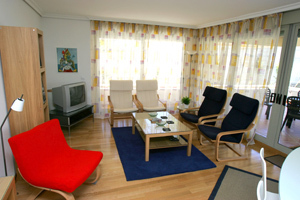 Sharing a fully-equipped self-catering apartment with other students. This is usually the cheapest type of accommodation and is especially popular with students of 18 to 28 years. Living with a local host family. This provides total immersion in the language and is the best option if you want to learn as much Spanish as possible in the time available to you. You can choose between half board ( 2 meals a day - breakfast and one other meal) and full board (3 meals a day - breakfast and 2 other meals). These residences offer room only, half board and full board. They do not normally offer cooking facilities. Student residences are a good choice if you want to have your meals provided, but do not want to live with a host family. These residences are located in the same location as the school. They offer room only, half board and full board.They are a good choice if you want high standard accommodation, and do not want to travel to school each day. These are private mini-apartments, fully self-contained, with cooking facilities and private bathroom. They offer a good standard of accommodation and are suitable for one person, or for 2 people travelling together. Studio apartments are normally the most expensive type of accommodation. To help you find a suitable course , we ask you to give us an approximate indication of your current level of Spanish, as some courses are only offered at certain levels. However, our Semi-Intensive, Intensive and Super-Intensive courses are offered at all levels. You will have a level test on your arrival at the school, to ensure that you are placed in a class which is of exactly the right level for you. Spanish is a world language, spoken in some of the most beautiful and exotic countries of the world. Discover Cuba, learning Spanish and Salsa in Havana... explore the mountain rain forests and unspoilt beaches of Costa Rica, combining Spanish lessons with white-water rafting and scuba-diving, or walk the Inca trail in Peru, with a Spanish course at our school in Cusco. Click here for further details of where you can learn Spanish in Latin America. We offer a wide range of Spanish plus internships in Spain as well as Spanish plus volunteer work in Latin America. Our Spanish internships provide students with the opportunity to work in a Spanish-speaking environment of their choice. The volunteer programmes in Latin America help volunteers meet and make friends with locals, working on ecological projects, helping out in schools, orphanages, etc., a chance to further improve your Spanish, whilst coming to a deeper understanding of the local culture and inhabitants. For further details click here.